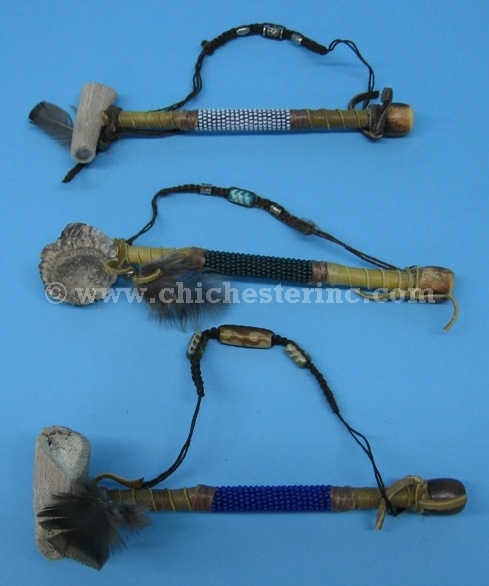 NOTE: No sales of Native American Peace Pipes or other pipes to anyone under the age of 18. Valid ID is required prior to purchase at our discretion. 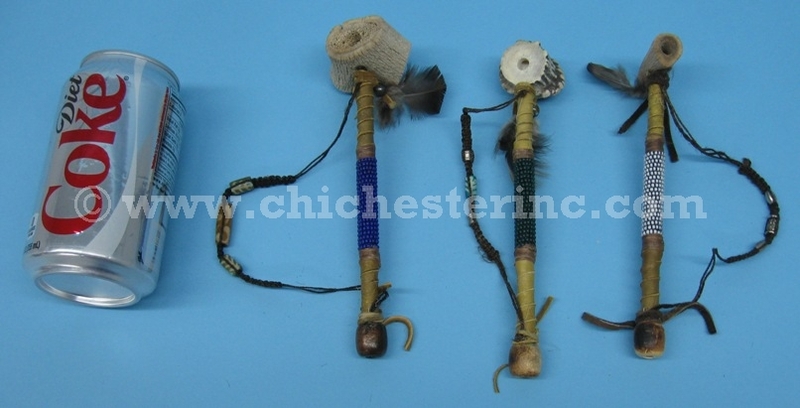 These antler pipes made by the Navajo. The pipe bowls are mostly carved from white tail or mule deer antler or occasionally elk antler. 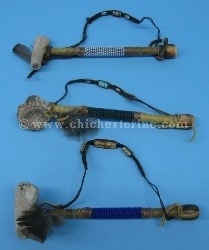 They have copper stems, a wood bead mouthpiece, and a jute strap. They are decorated with deerskin leather, turkey fluff feathers, wrapped decorated glass beads, and trim beads of bone, horn, or brass. They are 7" long, 0.5" wide, and 1.5" to 2" tall. They weigh 1.8 oz. Genus and species of deer: Odocoileus virginianus (white tail) or Odocoileus hemionus (mule). Wild. Genus and species of elk: Cervus canadensis. Wild. Genus and species of turkey: Meleagris gallopavo. Ranch. Deer, elk, and turkey are not endangered species and are not subject to CITES controls.